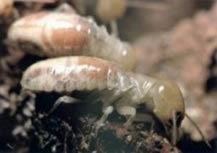 Same Family Business Since 1964 FUMAPEST Termite & Pest Control is a second generation family business. After more than 50 years in professional pest control in FAIRFIELD Western Sydney Area, we have acquired a wealth of knowledge and experience, unmatched by our competitors. 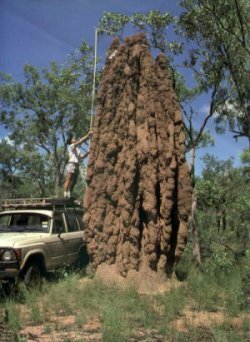 Subterranean termites or "white-ants" are a fascinating yet highly destructive timber pest, causing major structural timber damage to domestic and commercial buildings in the FAIRFIELD Western Sydney Region. 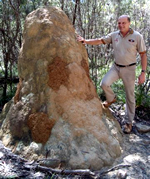 A Major Economic Pest in the FAIRFIELD Western Sydney Region: We estimate about one quarter of all properties in the area will be seriously affected by subterranean termites. That's why virtually all sales of homes in the FAIRFIELD Western Sydney Region are subject to a Timber Pest Inspection Report to AS.4349 as part of the Contract of Sale. Most homes are at high risk in the FAIRFIELD Western Sydney Region - particularly the medium to high density areas where well established gum trees are within a 100 metre radius of the building. The wide use of landscaping timbers and garden mulch also dramatically increases the risk. Many of the older style homes, built low to the ground, with poor ventilation, are ripe for subterranean termite attack and should be protected by Termite Preventive Barrier to AS.3660 using Termidor ... more details. Commonly found throughout FAIRFIELD Western Sydney - particularly in urban areas - under concrete on-ground flooring and in areas where eucalypt gum trees are highly prevalent. Area of Distribution - Commonly found in eastern NSW including the entire FAIRFIELD Western Sydney - along the Great Dividing Range and adjoining slopes. Area of Distribution - Commonly found throughout the entire FAIRFIELD Western Sydney - particularly in urban areas, where buildings are constructed of softwood or oregon timber framing. 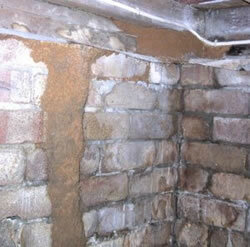 In cooler climates, such as in the FAIRFIELD Western Sydney, most of the destructive termite species build their nest completely below ground level. 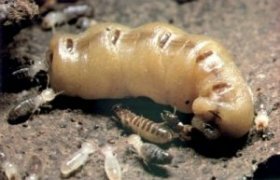 In safe hands - FUMAPEST Termite & Pest Control has 50 years practical experience in protecting buildings in the FAIRFIELD Western Sydney region from termite infestations.